MusIQ Lab announces that its 3-volume interactive early music learning software series, Children’s Music Journey (CMJ) has been acclaimed by ISTE, the largest education technology organization worldwide. Following a comprehensive evaluation, L&L curriculum specialist Professor Savilla Banister praised the depth and quality of the software. 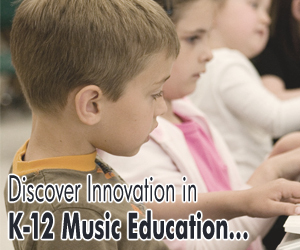 “Teachers could effectively use CMJ in elementary school music classrooms, private piano studios, or homes.” said Banister, an associate professor of classroom technology at Bowling Green State University who helps K–12 teachers integrate multimedia technologies. Banister has also taught elementary school music and piano for more than 30 years. ISTE is the premier membership association for educators engaged in improving teaching and learning by advancing the effective use of technology in PK-12 and teacher education. L&L magazine offers content that encapsulates ISTE’s philosophy that technology is essential to school transformation and future opportunities for the 21st-century learners around the globe.